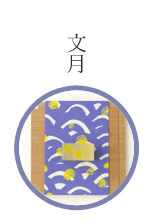 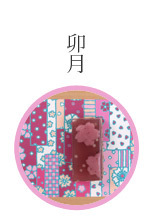 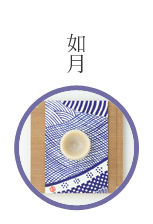 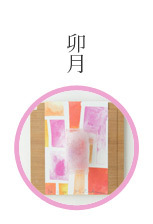 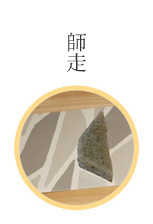 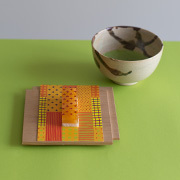 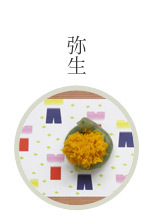 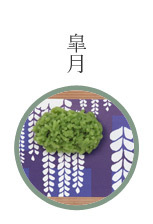 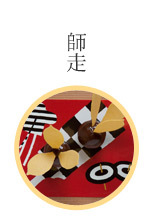 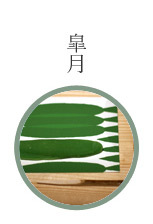 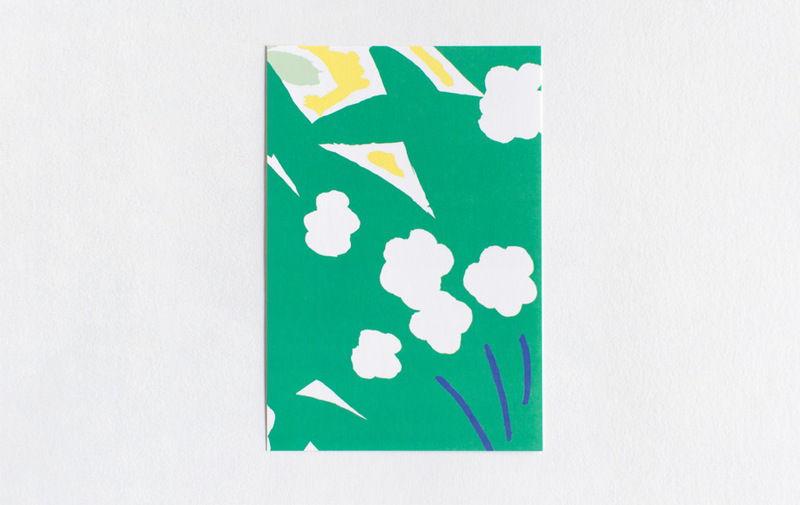 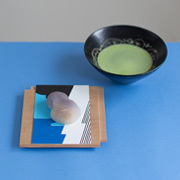 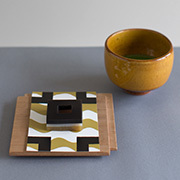 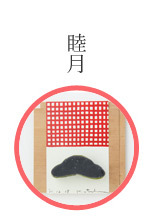 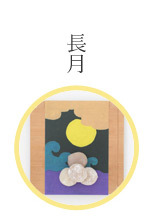 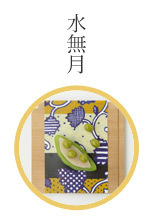 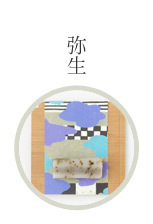 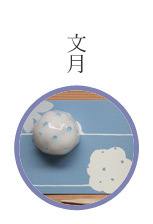 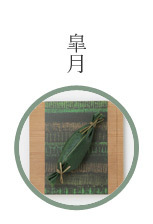 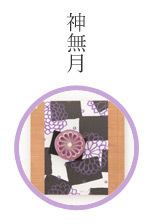 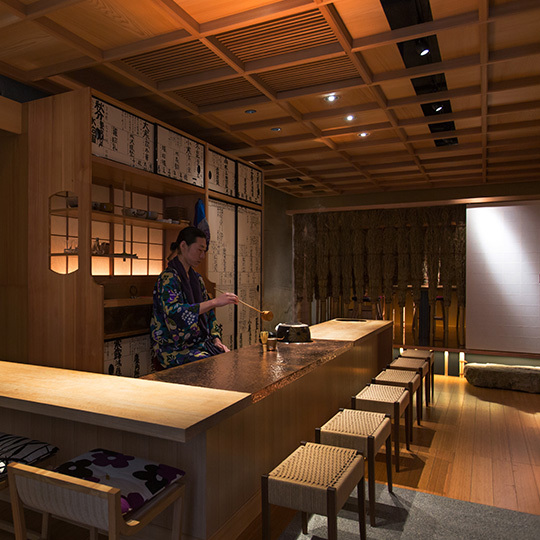 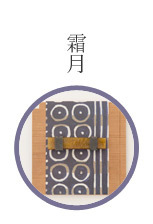 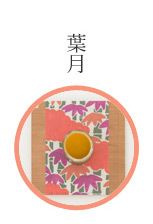 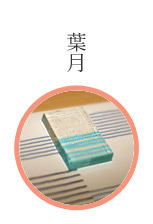 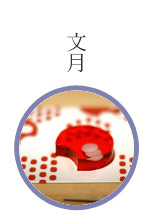 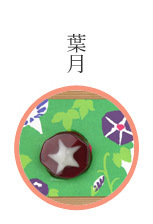 "Textile name : Seimei (Heisei 25)"
In the bracing air of spring, grasses and trees grow up, blossoms begin to bloom. 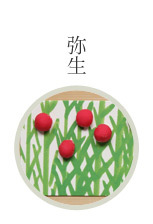 All living things are fresh and full of life. 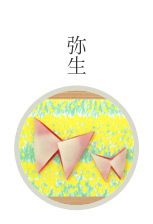 Some people enter or graduate from schools, start to work or move to new town. 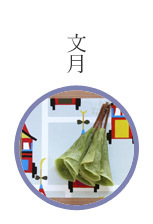 You can see some dramas of life especially this season, as meeting or parting somebody and start on a journey. 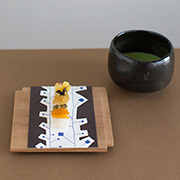 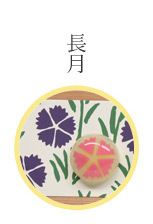 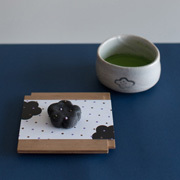 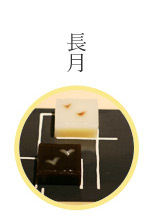 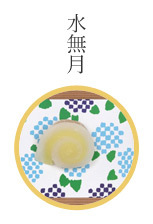 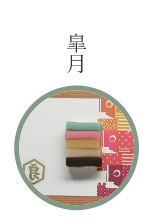 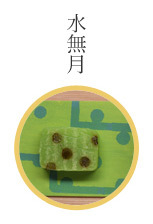 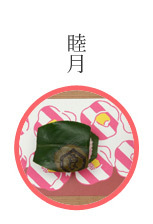 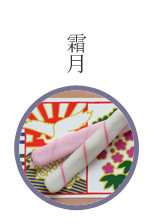 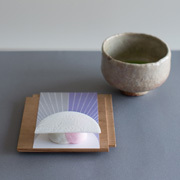 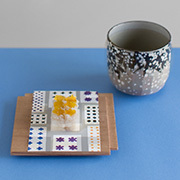 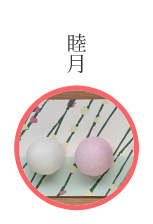 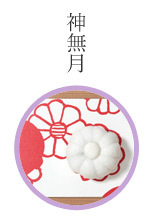 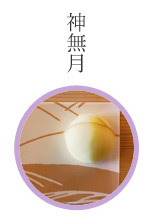 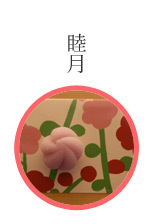 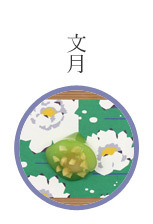 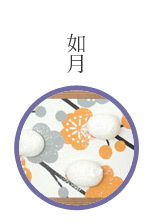 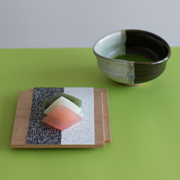 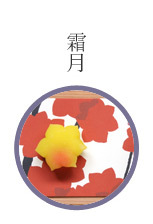 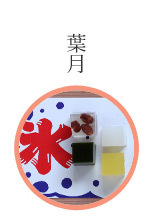 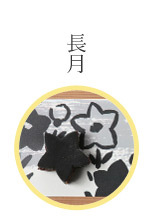 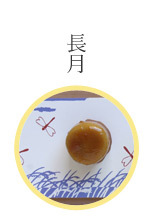 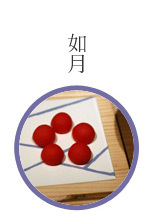 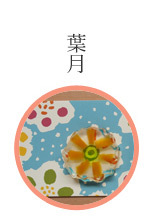 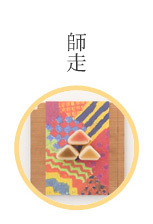 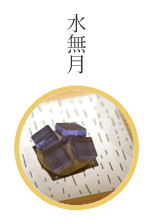 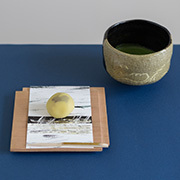 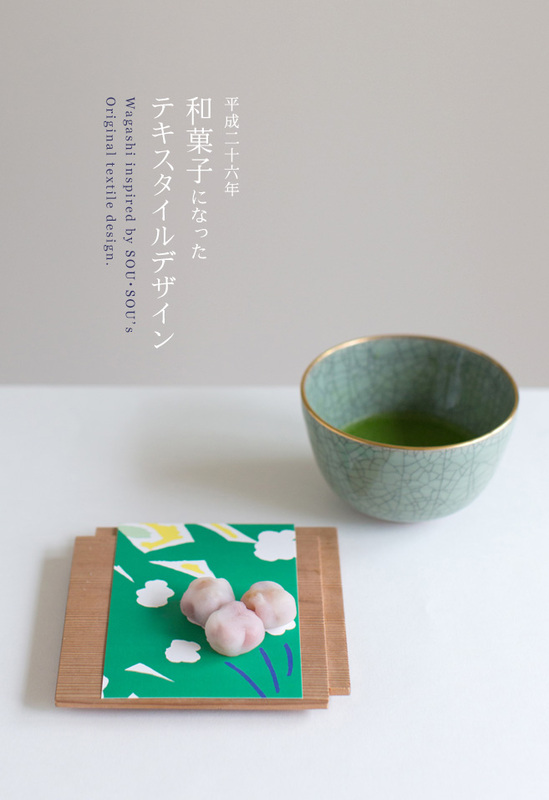 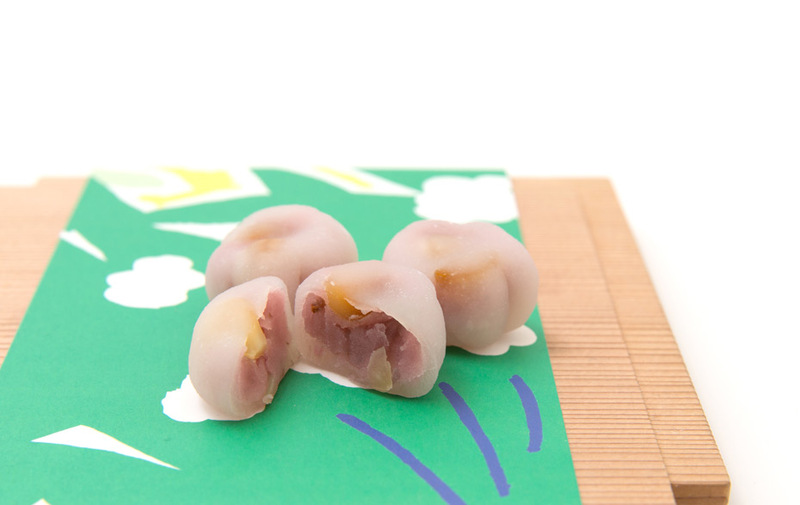 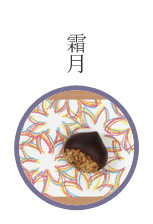 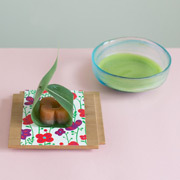 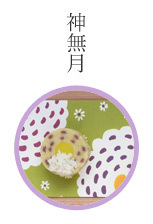 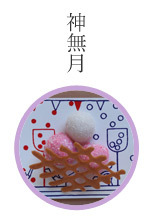 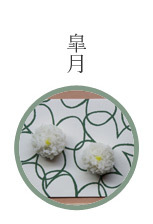 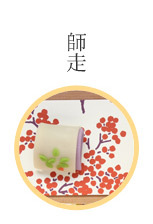 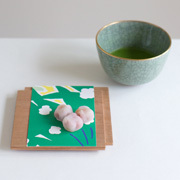 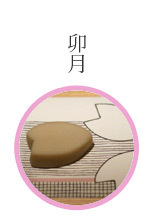 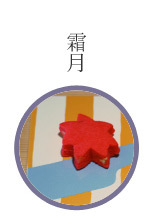 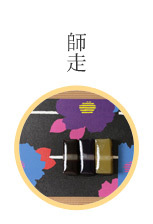 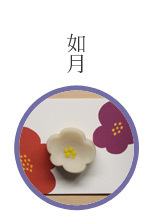 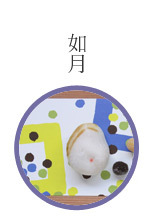 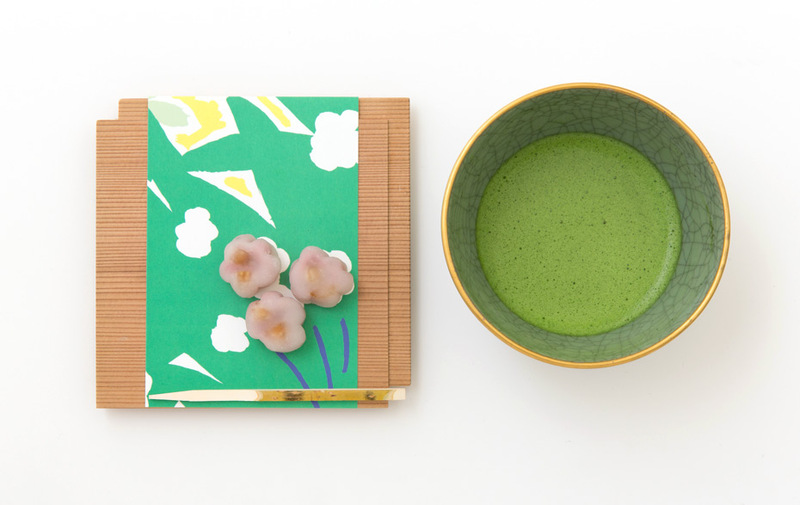 April's wagashi is inspired by unnamed little flowers. 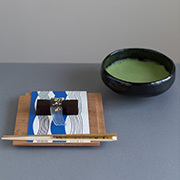 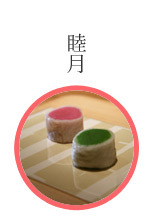 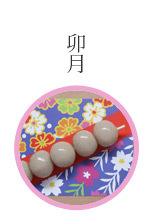 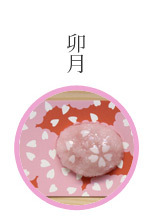 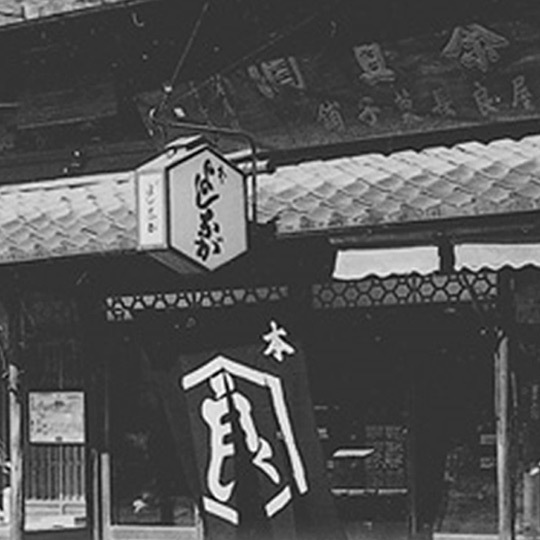 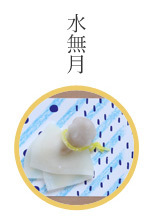 They are made of white sweetened bean paste mixed with salted cherry blossoms and leaves, and macadamia nuts are in the soft Uirou (rice flour pudding). 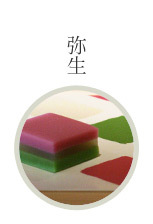 The saltiness of cherry blossoms, pleasant smell of nuts, and sweetness of white bean paste match very well and that causes this unique texture and taste.